Is your garden or awkwardly shaped? Do you want to make proper use of your limited outdoor space? Come to Sheds to Last and our corner and potting shed options will offer the perfect solutions. Potting sheds are perfect for growing your flowers despite the minimal space; while the corner shed lets you make the most out of a small back garden space. You no longer have to sacrifice your garden once we help you pick the right sheds. The truth about corner and potting sheds from Sheds to Last is that they can be fitted into an awkward corner or a hardly used space. Even for the smallest of spaces, we have a shed that can fit. 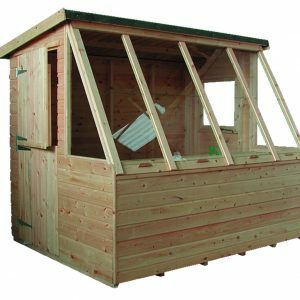 Our corner and potting sheds are designed with quality in mind. 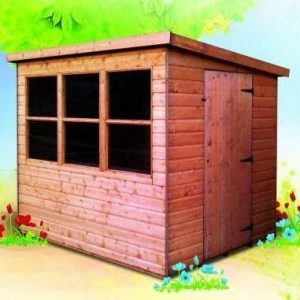 We offer excellent quality backed by our years of designing and supplying these sheds. 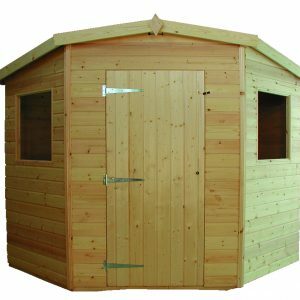 We make sure that these sheds have a solid cladding and quality wood for durability and aesthetic purposes. Other than delivering your corner or potting shed, we provide a installation services. Don’t sweat with your DIY efforts. We will help you assemble and mount your sheds with exceptional workmanship. We will install custom made units according to your needs. 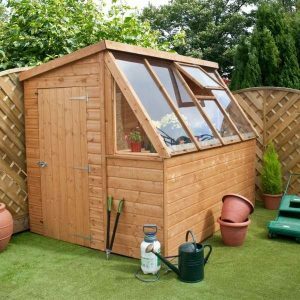 At Sheds to Last, our team is highly trained, accredited and experienced in fitting the smallest or the most expensive oddly-shaped corner or potting shed. Regardless of the style or size of the sheds you want, we offer you market best prices. Our products are affordable and we never compromise on quality. We source high quality wood and we have inspiring shed designs that add a captivating appeal to your property overall. Check our website and sample the various styles, designs and shed types. We will assist you to pick units that fit your needs.